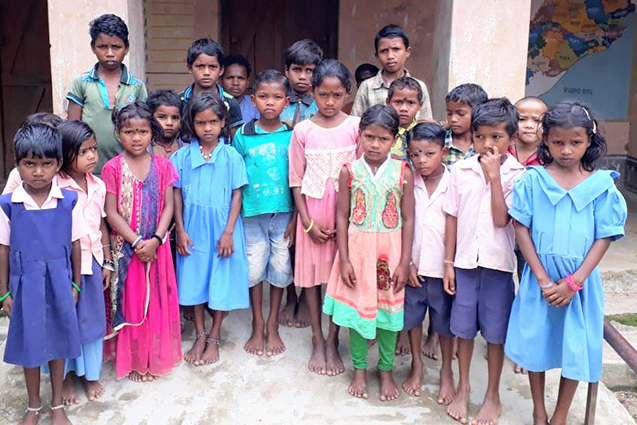 In September 2017, the only school in Katingpani village of Nuapada District was shut down by the Government of Odisha, citing that there weren’t enough students and proposing that the existing students would be adjusted in schools at nearby villages. Katingpani village is situated near the Sunabeda wildlife sanctuary and has mostly tribal residents. Given the terrain there, travelling to even the nearest schools would have been quite difficult for the students. The villagers were unhappy with this move that had started to adversely affect their children’s education, putting their future at risk. Social Awareness Institute (SAI), an ally of ActionAid India, thereafter, worked with community leaders and facilitated collective village-level discussions around the issue. SAI also supported the community to develop petitions and submit them to the concerned authorities, including the District Collector and state-level authorities. In addition, community members also engaged in media advocacy in order to highlight the adverse impact of the school’s closing down on the 34 students of the village. Meanwhile, the villagers also appointed two youths from within the community to teach students till the school’s re-opening. Their consistent advocacy resulted in the District Collector ordering the Block Education Officer to assess the number of children in the school. The enquiry found there were enough students for the school. The District Collector, thereafter, issued a circular directing that the school be re-opened. An inspiring example of the impact that empowered communities can produce!